CleverTap is a powerful mobile marketing solution that empowers marketers to create differentiated customer engagement strategies guaranteed to drive growth and user retention. It helps businesses build long-term valuable relationships with their users not only by giving them access to behavioral analytics information in real time, but also by providing an engagement platform that helps them reach their users via the right channel at the right time and with the optimal message. Using customer insights, powered by artificial intelligence and machine learning, data-driven mobile marketers can create differentiated omnichannel user engagement experiences across the entire user lifecycle with CleverTap. 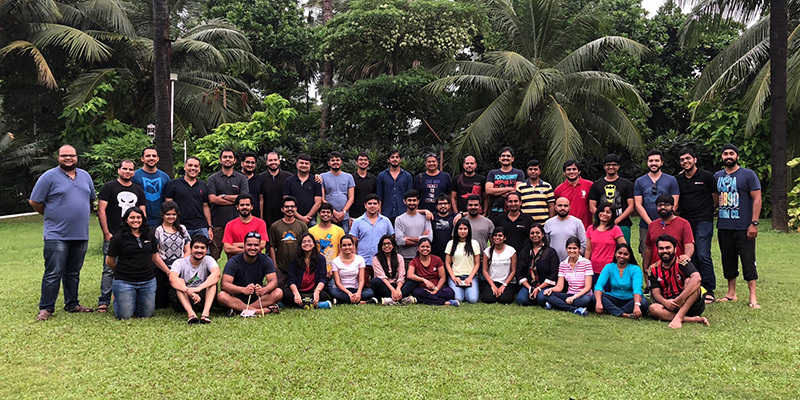 Since launching three years ago, CleverTap has grown from serving five clients to over 4,000 plus global clients, with over 50 employees worldwide. To help customers like McDonald’s, Sony, and Vodafone create omni-channel user engagement experiences at scale using behavioral customer insights, CleverTap’s servers process—in real time—55 billion data events per month and the platform sends over 10 billion messages out per month. As an example of how all of these changes have directly impacted its customers, we at CleverTap like to talk about the challenges we faced with one of our most recent customers—one of India’s largest telecommunications providers. Within a six-month period, the client had acquired 100 million new users, and in order to accommodate all of this new traffic from its apps, CleverTap had to grow with the client. Along with this, the client required its data to not leave the country, requiring CleverTap to have a data center in India. Complying with this requirement, CleverTap set up a brand new data center in India within just a week, and that too with no up-front investments. By using the above-mentioned configuration, CleverTap was able to handle the company’s ten to twenty-fold increase in traffic during peak seasons in a matter of seconds. Being deployed on AWS, CleverTap could focus its attention on improving the customer experience, instead of having to worry about infrastructural overhead and data security concerns. With AWS, CleverTap reduced its development time by 30 percent and ensured cost savings of 40 percent by hosting the entire infrastructure on AWS—all this enabling CleverTap to focus on innovation and developing industry-first, data-driven features, such as improving the predictability of user behavior by identifying common user paths, slicing and dicing data into meaningful data visualizations (“pivoting”), and improving RFM analysis by monitoring the health of the user base through automatic segmentation. It is amazing to see how we have grown so far in a short span of time to service over 4,000 customers globally. This couldn’t have been possible without the awesome AWS team. In today’s digital world, with the proliferation of mobile and web apps, it is getting increasingly difficult for businesses to rise above the noise and build long-term relationships with their customers—so if you can spot any opportunities to help better understand your customers, you should take it as quickly as possible.